Let your research and analysis do the talking! At Wordvice, we believe that our clients’ successes are our own. Please check out a few of our customer testimonials below! As we fully immerse ourselves in the information technology era, it becomes increasingly challenging to distinguish our ideas from those of others and make an individual contribution. What methods and results should we share? What makes our research especially important to science? Will our findings inspire fellow researchers to undertake newer endeavors in the search for truth? Researchers often ask these kinds of questions while conducting their studies and preparing for publication. Yet one questions many investigators often overlook is a simple yet important one: How can we best convey our findings through our writing? We struggle to find the right words to emphasize the significance of our life's work. The challenge seems almost insurmountable when we must write in a language that might not be our mother tongue. International scholars are not alone in this battle. Even native English speakers often settle for words that lack precision and fail to optimize impact potential. One of the most common reasons editors reject journal manuscripts is substandard quality of writing. Some publishers even require authors to include editorial certificates to prove that papers have been professionally edited before submission. A poorly drafted manuscript is not only difficult to read—it can obscure the central content of your research. When publishers find mistakes in grammar, spelling, and mechanics, they assume that the author did not bother to properly proofread the entire paper. And if you are careless with something so basic, what about the substantive aspects of your research? When a manuscript is not properly organized or formatted, publishers worry that an author is unable to form strong logical connections and create compelling arguments. While proofreaders and editors cannot conduct your research for you, proper English editing can certainly help publishers see through to the strength of your investigative insights! Clarity invites readers to think more deeply about your work. 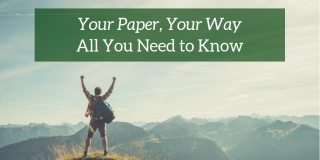 Rather than stumble over complex (and sometimes incorrect) grammar structures, peer reviewers, editors, and colleagues will enjoy the opportunity to focus on your study's value without technical writing distractions. Precision efficiently shows readers the methods you applied during your research and convinces them that your investigation is reproducible and well grounded. 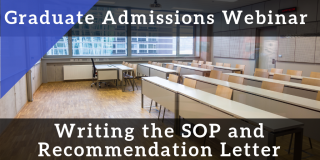 Organization enhances comprehension and will persuade your readers that your analysis was properly developed and that you derived your conclusions properly and naturally from the results you shared. Why choose Wordvice? Our editors know how to help you maximize your impact! Our editors are scholars like you, with the advantage of having years of valuable editing experience. Because they are familiar with the publication process, they understand the scrutiny your manuscript must undergo. Each of our editors is carefully selected to work on your documents based on experience and familiarity with the subject area. All editors are trained to comb through your drafts to locate any language issues (including grammar errors, language misuse, awkward or unnatural phrasing, and inappropriate style) and make sure that your polished research paper allows publishers and peer reviewers to assess your work on its merits and not be distracted by language technicalities. We know that you already face many pressures as a research scholar. With Wordvice, worrying about the quality of your writing will not be one of them. 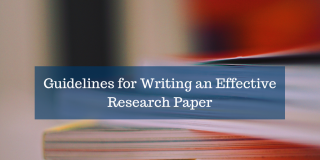 You can be sure that one of the most important aspects of your academic career—publishing your research in journals—will get a boost with our expert editing. Clear sentences and phrases invite readers to think more deeply about your work. 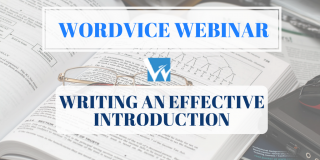 Rather than stumble over complex (and sometimes incorrect) grammar structures, peer reviewers, editors, and colleagues will enjoy the opportunity to focus on your study's value without technical writing distractions. Proper word choice efficiently shows readers the methods you applied during your research and convinces them that your investigation is reproducible and well grounded. Coherent logic enhances comprehension and will persuade your readers that your analysis was properly developed and that you derived your conclusions properly and naturally from the results you shared. Our editors are thoroughly trained in proofreading and we guarantee 100% language accuracy on all edited documents. 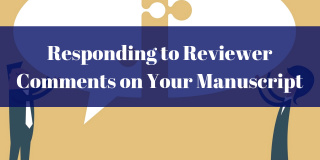 Whether you need your manuscript to conform to a journal’s “Guide for Authors” or to a standard style guide such as APA, MLA, AMA, or Chicago, our editors will meet your formatting requirements. Our editors are experts in various academic fields, ranging from the biosciences and medicine to history, law, and business. What our native-English speaking editors have in common is a passion for helping fellow scholars achieve publication success. Many of our English proofreaders have successfully published their own papers, are BELS certified or are members of various editing associations. So, who better to help you than those who have already demonstrated success in their respective fields? To read more about out editing staff, please see our Meet Our Editors page. Our professional editors revise your manuscripts and drafts, paying great attention to context, purpose, author voice and formatting style. We guarantee 100% language accuracy while improving clarity and strengthening your writing’s organization and flow. Our job is to polish your writing so that your analysis tells a compelling story.